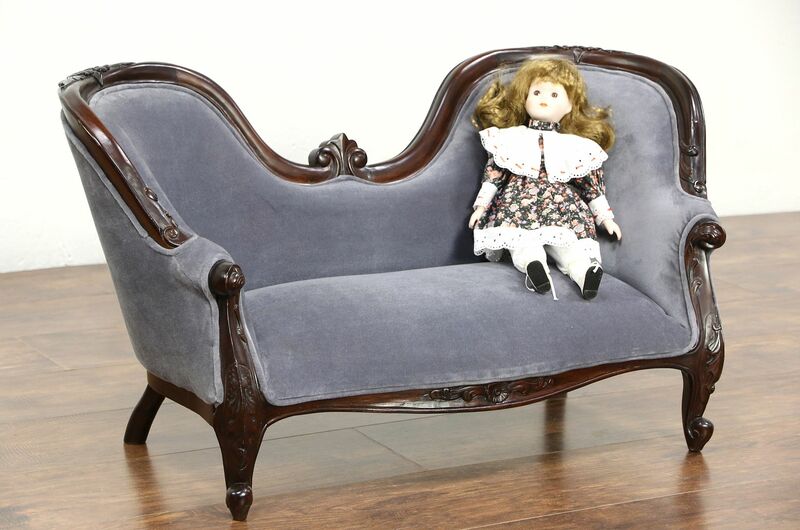 A Victorian style miniature child, doll or teddy bear size sofa was hand carved of mahogany around 60 years ago. The finish is very well preserved with minor mars. Soft velvet upholstery is in very fine condition on this diminutive vintage furniture. The gracefully curved frame is strong and sturdy. Size is 36" wide, 18" tall, 19" deep and the seat is 8" high.